This year the NH LEGO LEAGUE is pleased to support the 2015 FIRST Technical Challenge League champions and 2015 FTC State Alliance Finalist Runner-up in this year's VEX STARSTRUCK competition. As a rookie team last year, the nine person team was able to top several other veteran teams to go 17-3 and win the regular season league by 5 matches. "It was an amazing season last year and we were honored to be part of the FTC inaugural season in NH, but when the opportunity came along to join the VEX program we could not pass it up." said Daniel Hughes coach. "The VEX STARSTRUCK program gives us the opportunity to compete against some of the best robotics teams in NH. We probably won't repeat our results from last year, but so far we are having a lot of fun and meeting some great people. We look forward to the challenge and the opportunity." Hughes went on to say. K-5 students at Idelhurst Elementary School enjoy a fun day of LEGO building and engineering during the afterschool program hosted by 21st Century and the NH LEGO League. Each week the students are introduced to a fun and exciting LEGO build that focuses on a different scientific experience. Check out Spencer and friends as they work on a Rover that is designed to climb over obstacles and travel just as it would on Mars. Recently for her efforts to support the Manchester School Disctrict, Kerrianne Marino a senior at Saint Anselm College was honored by the Meelia Center for Community Engagement. Her work supporting the NH LEGO League in an effort to help bring the fun of robotics to 4th graders in Manchester was outstanding. Not only did she volunteer her own time, she recruited additional volunteers to support the program as mentors to the students of Manchester. 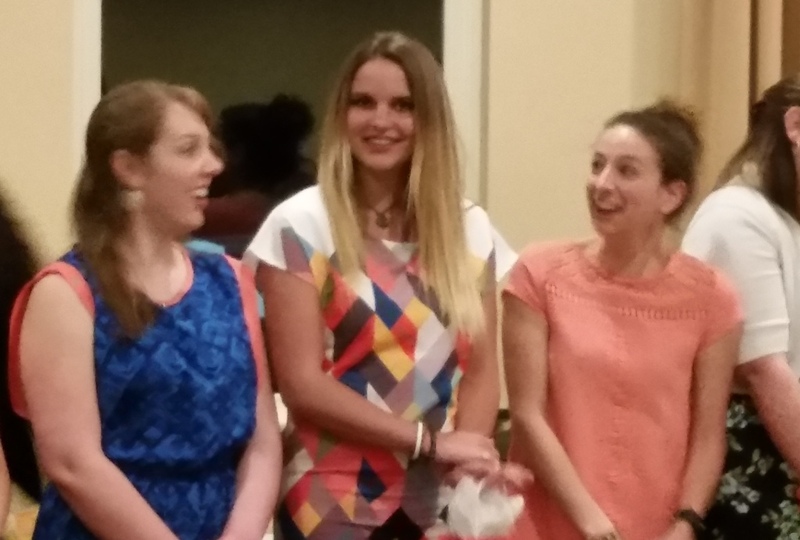 Kerrianne's supports the Meelia Center as a site coordinator for four sites - Webster House, MC2 (a Manchester charter school), YMCA Strive and Teen Program, and the NH LEGO League, a site that she introduced to the Meelia Center this year. In addition to her LEGO robotics work during the school year she has been working at Tufts University for the past three years and has been surrounded by LEGOs during her time there as well. She will be attending Tufts University in the fall to pursue a Masters Degree in Human Factors Engineering. On behalf of the NH LEGO League and the Manchester School District we wish Kerrianne the very best, a shinning star in the engineering world aboout to burn very bright. Last year the Belknap Bots of Dover had a challenging FIRST LEGO League experience. After a great preseason preparing for competition, and armed with a nearly 400pt robot they went to their qualifier at UNH. Unfortunately the robot experienced a malfunction and would only do donuts when they ran a program. What makes FLL so great, many teams at the event jumped in to support the Belknap Bots providing replacement parts, extra EV3 bricks, computers and other parts. The teams and coaches at the UNH qualifier helped them troubleshoot the problems but could not identify the source of the malfunction. In true FIRST spirit, after the event UNH competition coordinators and state partner BAE started working with the team to try and help ease their frustrations and this lead them to us at the NH LEGO LEAGUE. 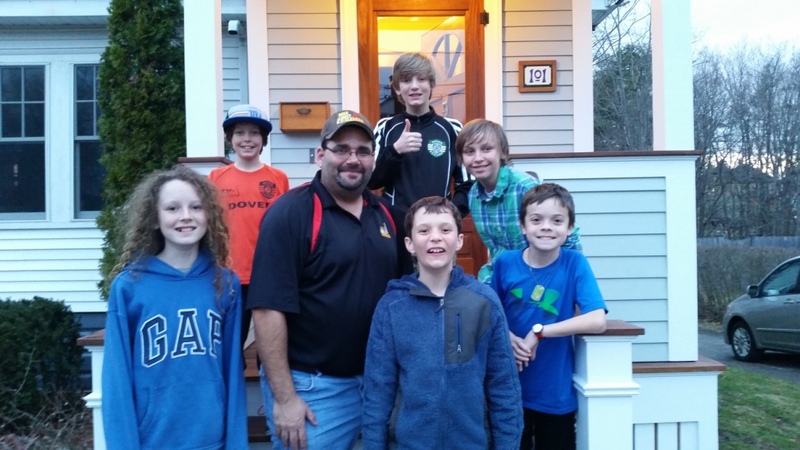 After hearing the story, LEGOMAN Dan, our coach of FLL Team #55 Kings of Konstruction contacted the team and went to Dover to troubleshoot the issue with the team. After a couple of weeks of looking at a number of things we found that the issue was a defect in the spinning motor, not the motor they thought had failed. The team has worked very hard over the last year to fix this issue and The Belknap Bots will be back next year and stronger than ever. This is a great group of kids who show tremendous Gracious Professionalism in everything they do. 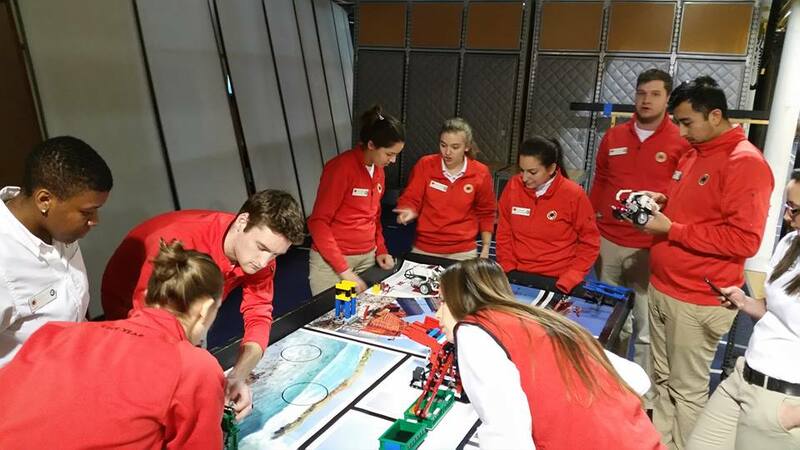 Thanks to a partnership between the Manchester School District, City Year, and FIRST, FLL team #55 Kings of Konstruction coach Daniel Hughes spent the day coaching nearly 30 Manchester City Year staff on the foundation of FLL coaching. These amazing mentors’ will be running teams at 8 Elementary schools in Manchester this spring. City Year teams, we thank you for supporting the Manchester kids and being so giving of your time.